Holy moley! 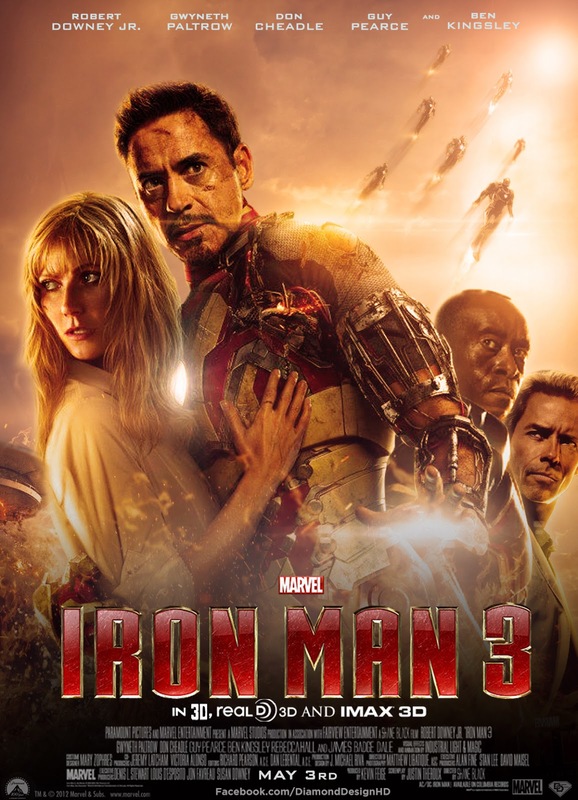 Can you believe that Iron Man 3 starts today? What a great way to start the summer movie season! The whole gang is back along with a serious Iron Man villain (finally) - Ben Kingsley as the Mandarin! Check out the trailer! The whole gang is back - Robert Downey Jr. , Gwyneth Paltrow, Don Cheadle, Jon Favreau - this time only in an acting capacity playing Happy Hogan, handing the directing responsibilities to Shane Black (the fantastic writer of some of our favorites - Lethal Weapon, Kiss,Kiss, Bang, Bang, The Monster Squad). Ben Kingsly is the Mandarin! Looks like the events of last year's Josh Whedon blockbuser The Avengers took a toll on poor Mr. Stark who seems to be a little shell shocked from the experience. Everyone seems in peril, Pepper Potts looks hot in a black bra, and the Mandarin looks like he's going to kick some serious can! Nothing could make us happier here at good ol' PU! We'll be there to start the summer movie season with a bang! BONUS!!! Check out this old-school Iron Man vs. The Mandarin animation from 1966! Iron Man in The Mandarin's Revenge!